They’ve been used to create everything from sea serpents and soaring cathedrals to likenesses of the Duke and Duchess of Cambridge. 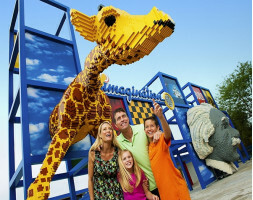 But the more than 58 million LEGO®bricks that are fully assembled in Central Florida have produced by far the most entertaining creation yet – LEGOLAND Florida Resort. This is the biggest LEGOLAND park ever built and it occupies the site of the old ‘Cypress Gardens’ in Winter Haven. It offers a unique mix of more than 50 rides, shows and attractions including some spectacular LEGO®models. LIMITED TIME - ADULT PAYS THE SAME AS THE COST OF A CHILD TICKET Single Day Admission ticket. Built for kids 2-12 years old, LEGOLAND® Florida Resort is a multi-day vacation destination in Winter Haven, Florida, just 45 minutes from Orlando and Tampa, that includes an interactive, 150-acr..
LIMITED TIME - ADULT PAYS THE SAME AS THE COST OF A CHILD TICKET The LEGOLAND Florida 2 Day Ticket gives you 2 days admission within a 14 day period. 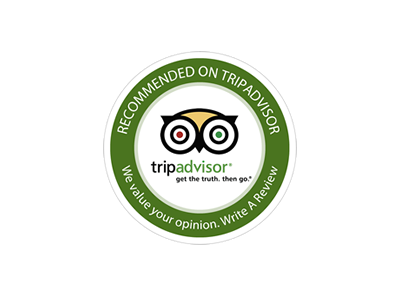 Built for kids 2-12 years old, LEGOLAND® Florida Resort is a multi-day vacation destination in Winter Haven, Florida, just 45 minutes from .. The LEGOLAND Florida One Day Water Park Combo Ticket gives you admission to LEGOLAND Florida Water Park as well as LEGOLAND Florida itself. Both admission must be used on the same day. 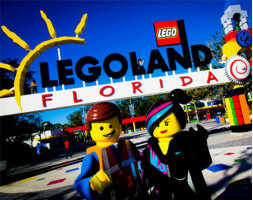 Built for kids 2-12 years old, LEGOLAND® Florida Resort is a multi-day vacation destination in Winter Haven,.. 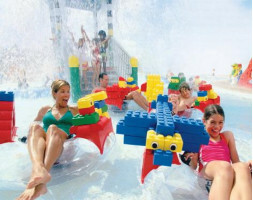 The LEGOLAND Florida Two Day Water Park Combo Ticket gives you admission to LEGOLAND Florida Water Park as well as LEGOLAND Florida itself. Visit to the main park and waterpark must occur on the same day. Second visit must be used within 14 days of first visit. Built for kids 2-12 years old, ..